. 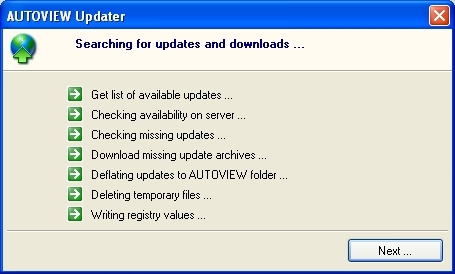 . . PS-Soft Development Page - the AutoVIEW Update Client . . . 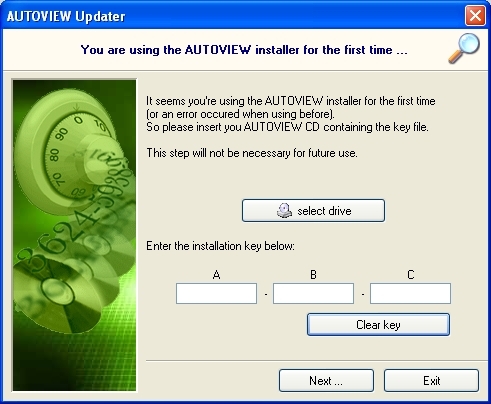 This shows the update client in action: if it runs the first time it checks the installation key from the installation CD. Secondly it tries finding AutoVIEW automatically or manually depending on the user's choice. The update process itself is the same procedure all the time. but only on first use. then it does the required work. last update: 2010-11-25 - 22:22:57. 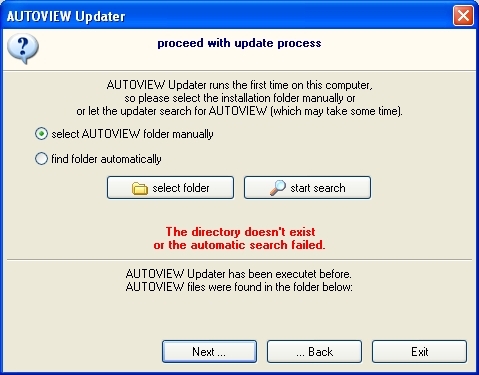 The AutoVIEW Update Client screenshots were visited 1482 times.